Reminiscence is a vital way to stimulate communication and promote confidence and self-worth in people with dementia. This practical guide is designed to give those who care for people with dementia a clear sense of how reminiscence can be used to greatly improve their quality of life. 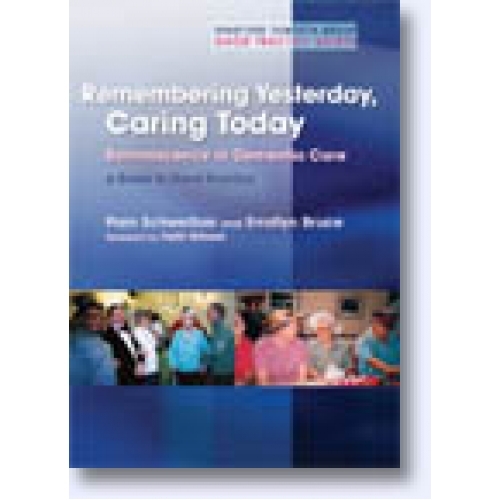 The book explores how reminiscence can contribute to person-centred dementia care and contains detailed descriptions of activities that can be used in a group setting, for one-to-one reminiscence at home or in a variety of care settings. Based on ideas developed and tested internationally over a period of ten years, the book offers imaginative approaches to reminiscence and a wealth of resources for use in a wide range of situations. The book includes advice on organising a reminiscence project and provides a useful planning tool for group sessions. Remembering Yesterday, Caring Today highlights the value of reminiscence for those with dementia and is an essential guide to good practice for all healthcare professionals and families.